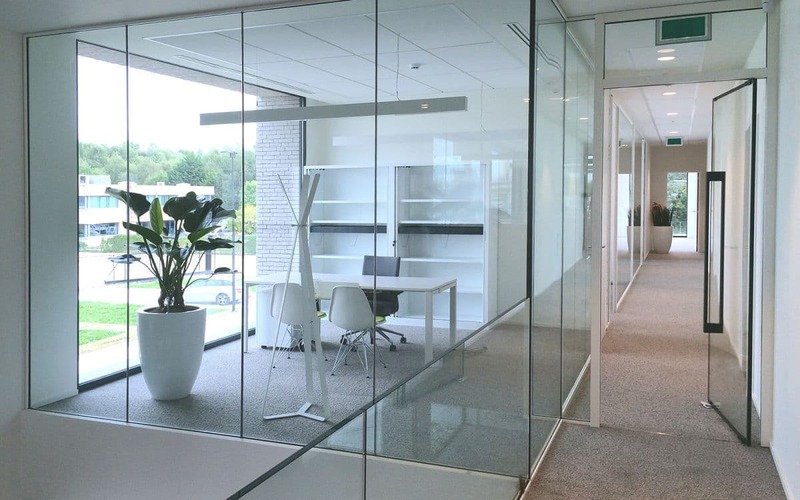 Frameless, Fire Rated Screens and Doors. We install fire rated glass for customers nationwide. 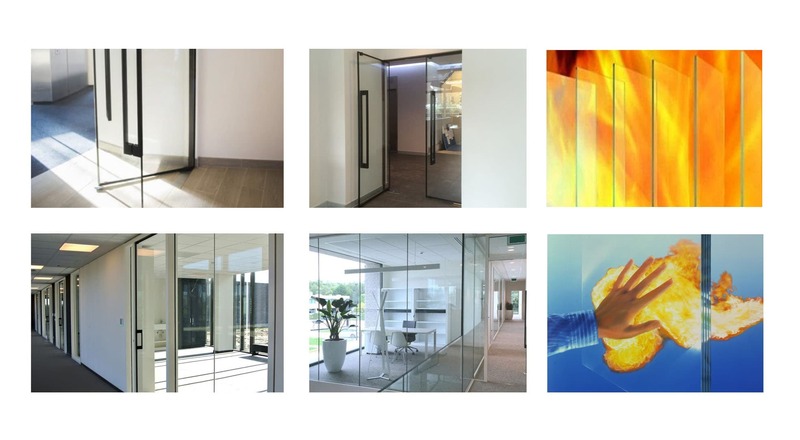 If you are looking for fire rated glass, you’re probably keen to find out more – especially its thermally resistant properties and its range of application for different environments. Whether you are a homeowner or run a business, Finepoint can install fire rated glass to make your property or premises safer. And, because we cover London and the rest of the UK, we’ll be able to help you with your requirements. Choosing the right type of fire glass – (there are many variations) – is important. When you contact the Finepoint team, we’ll be able to answer your technical questions and make the right recommendation. Contact us for details. Fire rated glass acts as a barrier that stops flames and smoke from spreading. There are different types of fire rated glass and, in some cases, it is must be fitted by law. When you contact us, we can tell you whether Building Regulations apply to your project. Rest assured that the fire rated glazing we install will have been tested to ensure it meets all legal requirements. We will be able to tell you more about this when you talk to us and can provide evidence of the certifications that we’ve achieved. Fire rated glass will make your home or business safer. Even if you don’t have to install protective glazing, you may choose to fit it for peace of mind. We cover the whole of the UK, including London, so please contact us for technical advice and prices. If you need to know more about the advantages of installing fire rated glazing at your business premises or in your home, keep reading. How Does Fire Glass Restrict Damage? Fire rated glass stops flames and smoke from spreading by compartmentalising it. As such, it protects the people living or working in the building – while also limiting the structural damage that would otherwise be expensive to fix. Where Should Fire Glass Be Sited? Fire glass is sited in commercial and residential buildings in London and throughout the UK. In most cases, it is installed in areas where a safe exit would be needed in the event of an emergency. We will be able to tell you more when we speak to you. Does Fire Rated Glass Look Different? Fire rated glass doesn’t look that different to standard glazing. Finepoint will be able to provide you with evidence of a Fire Protection Rating before installation, so you’ll be able to buy from us with confidence. It’s important to understand fire protection ratings so that you can understand the benefits of the product you are buying. Fire rated glazing is tested by independent third-party organisations. How well your installation will perform when exposed to fire is measured in terms of how long the fire glass remained in its frame before failing. This scoring system is easy to understand. The letter E precedes how long the fire rated glass blocked fire. For example, an E60 rating would indicate that the installation survived for a whole hour before losing its integrity. We know how to help customers in London and the UK find the right fire rated glass. Find out more by contacting our experienced team today on 01923 229 949 or sending us a message. 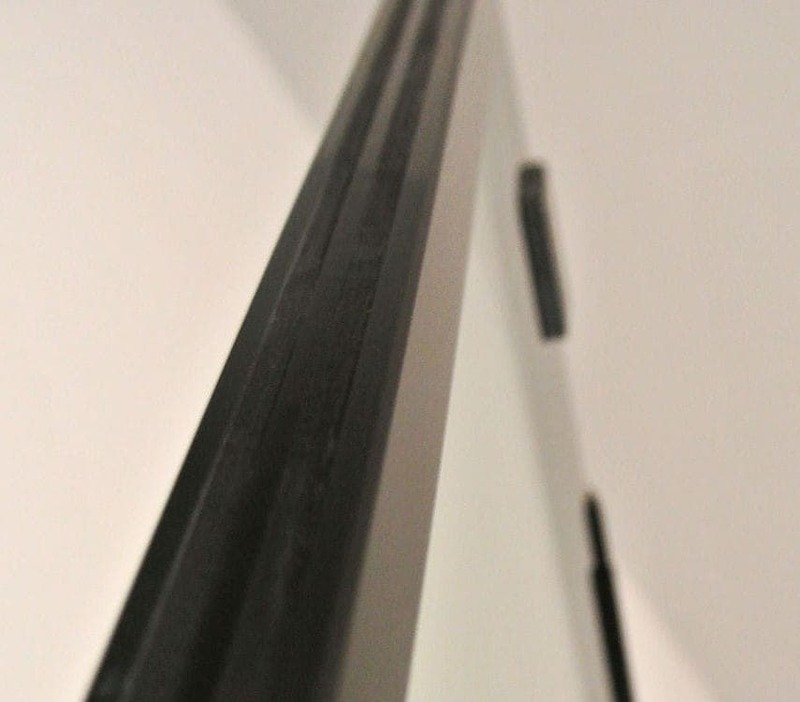 Finepoint offers more than just fire rated glass. We offer a wide range of products, meaning we can provide our customers with flexible solutions – whether they’re based near our factory in London or elsewhere in the UK. If you need fire doors, we can build test and install these for you. Fire rated screens and frameless fired rated glass are also available. If you’re not sure which of these products are suitable for your project, we can help. Finepoint Glass is ready to answer your questions. You can contact our experienced team on 01923 229 949 or request a call back by completing our online form, in which case we’ll respond as a matter of urgency. Our coverage isn’t limited to the London area. We operate throughout the UK. If you’d like to see our fire rated glass, you can make an appointment to visit us at our dedicated showroom by booking an appointment. Get fire rated glass prices today by talking to the Finepoint team. We’ll also be able to tell you more about our other products if appropriate – for example, our aluminium sliding and bi-fold doors or wine cellars.